SGX Day Traders: 2014 May 05-- SGX Day Traders' Trading for a living Risk and Money Mgmt Excel Spreadsheet is FREE for download for limited period. 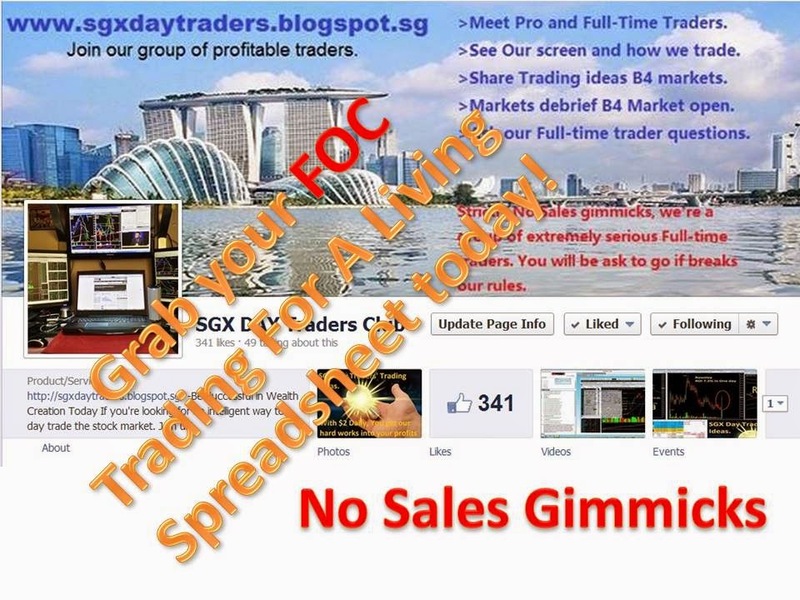 2014 May 05-- SGX Day Traders' Trading for a living Risk and Money Mgmt Excel Spreadsheet is FREE for download for limited period. Click here to grab-- The SGX day Traders' Trading For A Living excel Spreadsheet with Position sizing, Micro Pennies additional Risk controls, Risk and Reward Money Management , absolutely FREE for limited period now. Once download is FREE forever! 100% No Sales Gimmicks! For the month of Apr 14, based on SGX day Traders' LuckyStockPick and SMS Alerts. If one is able to execute Buy and Sell with 100% efficiency. With $20K Capital. The month end return is approximately 14.8K or 74% ROI from initial capital. 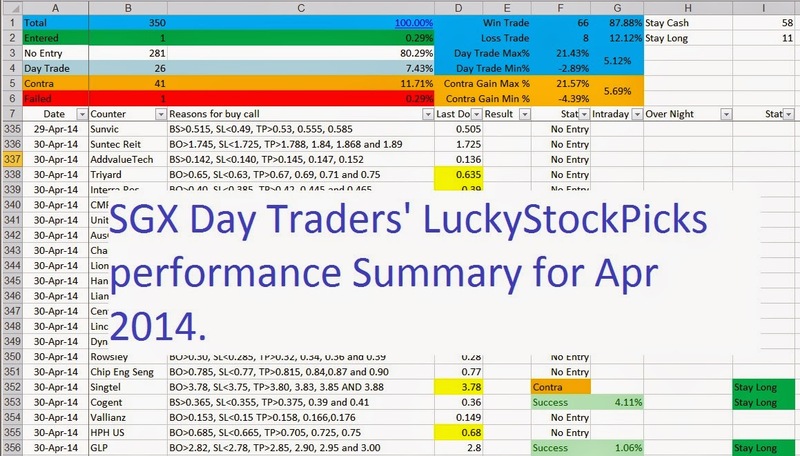 SGX Day Traders' LuckyStockPicks performance Summary for Apr 2014. Sorry the new trading for a living spreadsheet one user just feedback an error and we have corrected it. If you are having the "Status" password protected and unable to use the spreadsheet. please visit the same link to re-download and overwrite the earlier copy. everything shall be working fine now. Any further question may contact us. We will be happy to help. Happy Trading.